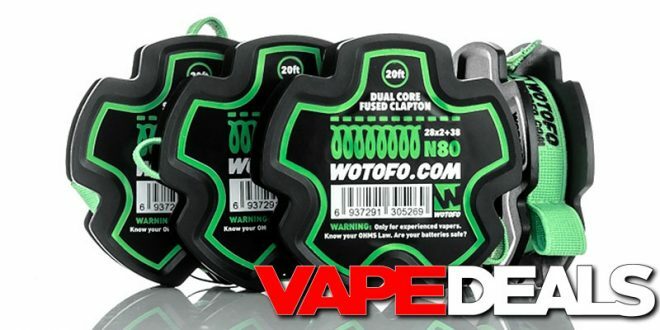 Looks like VaporDNA recently got the new Wotofo Specialty Wire Spools in stock. The prices are impressive too. You can pick up a 20’ spool for as low as $5.39 if you apply coupon code “deals10” at checkout. They have 8 different options to choose from, check out the list below. Some of the wire types cost a bit more, but it’s still a great deal for 20 feet of specialty wire—you could get at least 40 coils out of that!